In the face of ever-increasing scrutiny and falling reimbursement rates, some healthcare providers are beginning to target areas of medicine where limitations on billing are less strictly controlled. Cue the growing trend amongst healthcare systems, both locally and nationally, to open or expand trauma centers. In Pennsylvania, medical providers argue that the law gives them carte blanche for full reimbursement of trauma care in workers’ compensation claims. Effectively, this leads to limitless billing. Recent developments, however, mean that the uncontrolled costs of workers’ compensation trauma care may finally be poised for change. On October 1, 2012, thirty hospitals in Pennsylvania were qualified as trauma centers. By September 21, 2018, that number had ballooned to forty-one, an increase of over thirty-percent in just six years. This trend is expected to continue as more health systems seek to open new facilities, or expand and upgrade already existing trauma centers. As you may have already guessed, financial incentives appear to be driving this growth. That same year, a confidential report from the Trauma Center Association of America obtained by the Tampa Bay Times, showed that trauma care costs are increasing steadily nationwide: a single fee associated with trauma care, the “trauma response fee” had “increased 87 percent in six years, or 15 percent per year.” Although Medicare only reimburses this fee at about $1,000.00, the average actually billed was many times higher, with some reaching as high as $77,880.00 for a single trauma response fee. Under Pennsylvania’s Workers’ Compensation Medical Cost Containment Regulations, the majority of medical fees are capped based upon Medicare reimbursement rates. However, there is one, major exception: trauma. Acute care for life threatening or urgent injuries, rendered in a Level I or II trauma center, is exempt from the fee caps, and is paid at “100% of the usual and customary rate.” 77 P.S. § 531(10); 34 Pa.Code. § 127.128(a). Although exempt from the medical fee caps, reimbursement for trauma care must still be based upon the “usual and customary rate”. But what exactly does that mean? At first glance, this edict from the court offers some hope of controlling trauma billing; unfortunately, it is not so easy to translate into practice. Once a workers’ compensation defendant receives a medical bill, the clock starts ticking: the regulations give insurers and self-insureds thirty days to respond through payment, denial, or re-pricing. This is a narrow window of time during which insurers and self-insureds have not had much success proving what regional healthcare competitors are charging for similar services. This is not surprising. In Pennsylvania, there are no readily-available databases that compile this information, and for their part, healthcare providers are reluctant to release their pricing data in the absence of legal compulsion. The stakes in this legal dispute are no small matter. As Pennsylvania’s Workers’ Compensation insurers and self-insured employers know all too well, trauma bills can, and regularly do, approach seven figures. This is all the more frustrating given the Allegheny opinion. In theory, the law as it currently stands allows comparison and, potentially, reduction of trauma bills, but in practice, medical providers continue to demand one-hundred-percent unrestricted billing. By now, nearly everyone who follows workers’ compensation in Pennsylvania is familiar with Protz v. WCAB (Derry Area School District), 639 Pa. 645 (2017)(“Protz”). This was the monumental Supreme Court opinion that invalidated Impairment Rating Evaluations. While the Workers’ Compensation bar is still dealing with the repercussions of the opinion, the Court’s reasoning has applications far beyond the facts of the case and may serve to invalidate the trauma care exception to medical fee caps. In its simplest form, the non-delegation doctrine prohibits the Pennsylvania legislature from delegating its ability create laws and set public policy. At the heart of the non-delegation doctrine, which we have described as a ‘natural corollary’ to the test of Article II, Section 1, is the tenet that the General Assembly cannot delegate ‘to any other branch of government or to any other body or authority’ the power to make law. The legislature is permitted, however, to delegate limited authority if two, fundamental criteria are met. First, the legislature must establish the basic policy behind the law, and second, they must include “adequate standards to guide and restrain” the delegated body. Id., at 656. In Protz, the court reasoned that the legislature had failed to satisfy these requirements and thus the Act’s reliance upon Impairment Guidelines published by the American Medical Association, a private entity, was struck down as an unconstitutional delegation of legislative authority. The legislature’s improper delegation of authority to guidelines published by private organizations may not be limited to the facts of Protz. Recall that the trauma care exception to medical fee caps applies for acute care for life threatening or urgent injuries, rendered in a Level I or II trauma center.77 P.S. § 531(10); 34 Pa.Code. § 127.128(a). However, the legislature doesn’t squarely define what qualifies as “trauma,” nor which facilities receive Level I or Level II accreditation. Instead, as in Protz, the legislature’s authority to define “trauma” is delegated to a private medical group, the American College of Surgeons. Likewise, accreditation of a “Level I or II trauma center” is delegated to the Pennsylvania Trauma Systems Foundation. This is another private entity recognized by the Emergency Medical Services Act which, itself, delegates authority to the American College of Surgeons (35 P.S. §§ 8100, et. seq.). While the Emergency Medical Services Act may provide more policy considerations and restraints than the Impairment Rating Process addressed in Protz, both organizations – the American College of Surgeons and the Pennsylvania Trauma Systems Foundation – are free to set any standards they choose, with no input or accountability from the public. Thus, Pennsylvania appellate courts could very well conclude that the trauma care exception to medical fee caps fails the tests outlined in Protz: it relies upon two private entities who make their own rules without legislative or public oversight and, therefore, unconstitutionally delegates legislative authority. The Protz Opinion has had a massive impact on the administration of Workers’ Compensation in Pennsylvania. However, its reach goes far beyond the facts of the case, and may yet shape how trauma care is paid in Pennsylvania’s workers’ compensation. This would be no small change. 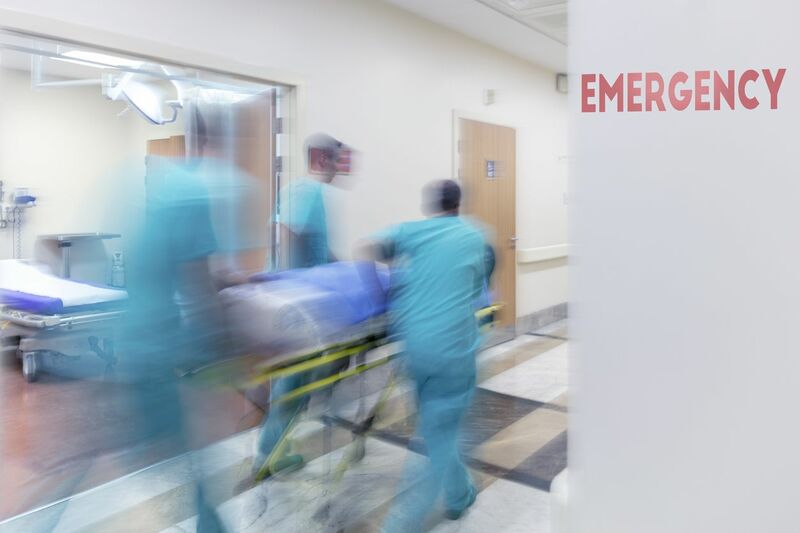 Trauma care creates some of the largest medical bills faced by Workers’ Compensation insurers and self-insureds, and the rapid proliferation of trauma centers means that billing volume is only going to intensify. If you would like to learn more about this subject or have questions regarding a specific case, please contact the authors or your attorneys at Chartwell Law. 34 Pa.Code. § 127.1, et. seq. 143 A.3d 449 (Pa.Cmwlth. 2016); see also, Geisinger Health System and Geisinger Clinic v. Bureau of Workers’ Compensation Fee Review Hearing Office, 138 A.3d 133 (Pa.Cmwlth.2016). 143 A.3d 449, at 458 (citing, Geisinger Health System, 138 A.3d 133, at 139). 143 A.3d, at 459 (emphasis in the original). As another example of thesignificance of the decision, the Protz Court cited John Locke, a 17th Century enlightenment philosopher, for this quote. 639 Pa. 645, at 655. See also, Pennslvania Against Gambling Expansion Fund, Inc. v.Commonwealth, 877 A.2d 383,418 (Pa. 2005). An analysis of recent legislation (Act 111)reinstating the IRE process can be found at: https://www.chartwelllaw.com/resources/act-111-passed-to-respond-to-pennsylvania-supreme-court-invalidation-of-ires.